Mouse is small but mighty. She had a very poor start in life and was part of a litter of puppies we took in. They had been living in filthy conditions and we wormy and half-starved. Mouse is small because of her poor nutritional start – she was half the size she should have been when we took the litter in. Despite her lousy beginning she has thrived and runs either in lead or swing. Her biggest difficulty is that she exerts a tremendous amount of energy keeping up with more long-legged dogs. However don’t tell her she’s small – she more than makes up for it in heart! Mouse is now 6 years old. 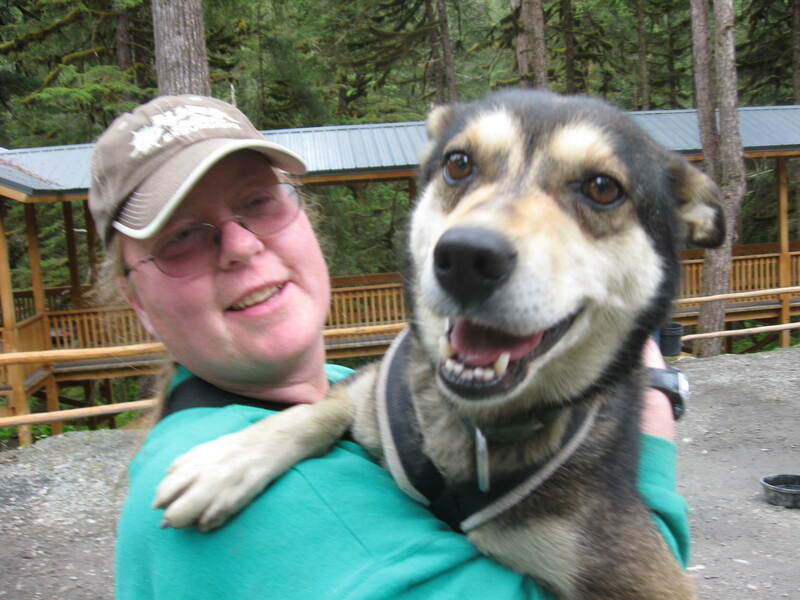 She won the hearts of the mushers on the glacier this summer and came very close to being adopted by one of the handlers who in the end realized her situation was just a little too iffy to commit to a dog. Mouse would make a really nice addition to a recreation team, especially for a child, or would she would be a wonderful pet. She loves snuggles and spends a fair bit of time in our home.